Had a chance to pick up this DE from Timeless last week. 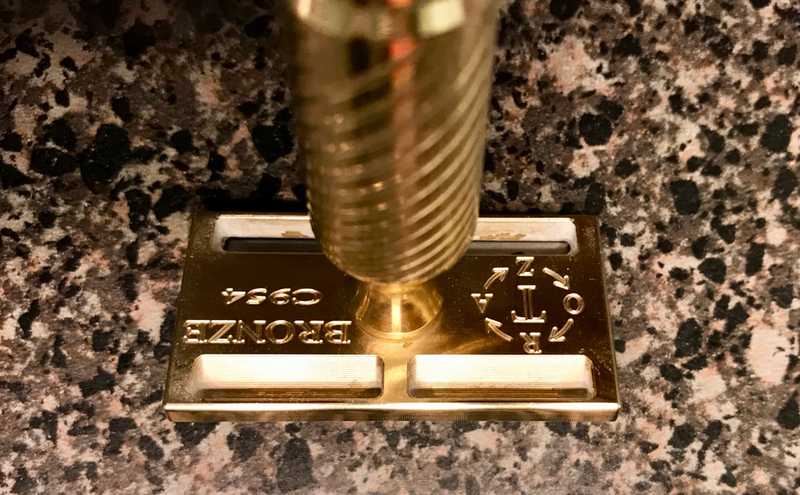 Love the fact that it is not polished to a high shine and has machining marks. It has a very small blade gap but I’ve got to say super efficient. I had a 3 day growth going which I have a fairly heavy beard growth. Lathered up and it went through like butter. First pass took everything off and after the second pass I didn’t even need a third. I was impressed with the fact that it didn’t clog and rinsed clean easily. I thought with a small blade gap it wouldn’t but was pleasantly surprised. Definitely a great razor. Just wanted to throw my 2 cents out there. As an EJ man, how would you compare this to EJ in terms of comfort? (10-24-2017, 07:15 AM)iamsms Wrote: As an EJ man, how would you compare this to EJ in terms of comfort? Mine arrived today but I need to get through OCtober before I can use it. A very nice razor indeed! Very smooth and efficient. This thing really is a beauty! And I have been hearing great things about it as well. Really curious to see more pictures and hear more opinions on it as more folks decide to get one. Sadly I had to return mine. It just wasn’t getting enough use compared to my Timeless .95 SB or Blackbird OC. It certainly was smooth but just a tad too mild for me. If they bump up the blade gap just a tad more, I’m going to instantly buy another. Is the angle on the bronze different? I've gotten one good shave out of it. The rest I have really struggled. Any tips? I primarily use a red tip and a guerilla. Sometimes I breakout the timeless 095bas as well.